In my newspaper column, Ask Deb Nelson, I was recently asked about how to create a casual, light and airy dining room. The reader wanted to have a room that could be used for entertaining or where kids could spread out with their homework. I found the image above as 'inspiration'. You can pretty easily replicate a room like this with a few items. This room has beautiful architectural details, but even without 10' ceilings, you can paint any room in a nice warm white colour. You could also add crown moulding, wainscoting or even a non-functioning fireplace with an old mantel. 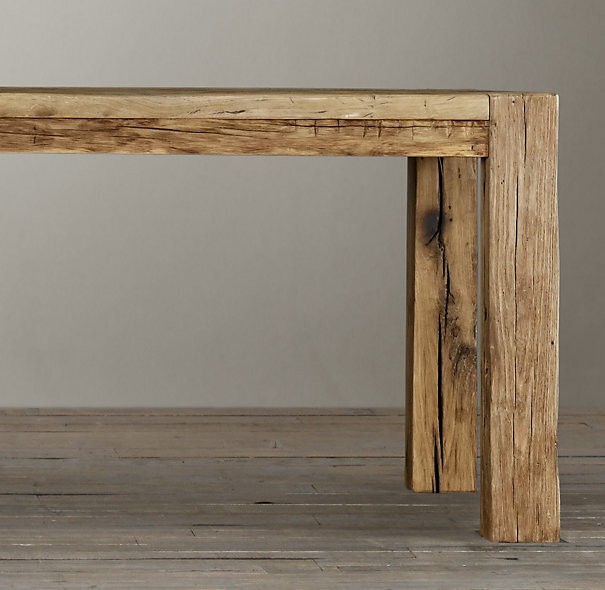 Unfinished wooden tables are still quite trendy and easy to find, something like this would be a great addition to the room. A couple of glass pendant lights above the table add some sparkle but keep the sight line open. They naturally provide a light and airy feel. A slipcovered white chair looks great, and as long as it's a machine washable cover, it can be functional for a dining room.